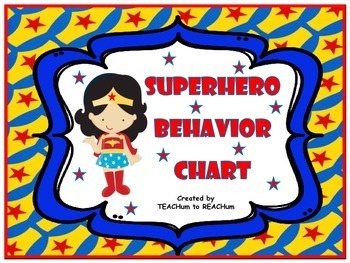 Superhero Behavior Chart - Superhero Theme. 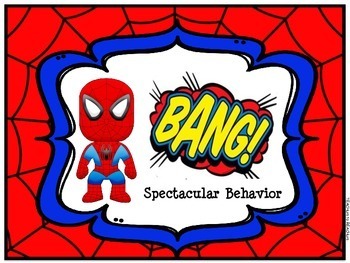 This behavior chart will help your students show their superpower - GOOD BEHAVIOR! Included are 7 posters. 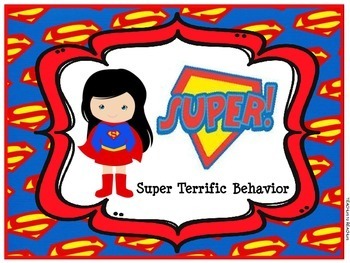 The middle poster is where all students start their day, Ready to show my super behavior! Students can move up three levels for good behavior and three levels down for undesirable behavior.